The Security Cabinet has agreed to Egypt's proposal for a cease-fire with Hamas, beginning at 9:00 am IST - despite the fact that Hamas categorically rejected the offer on Monday night. "The cabinet has decided to accept the Egyptian initiative for a ceasefire starting 9am today," Ofir Gendelman, spokesman for Prime Minister Benjamin Netanyahu, said on Twitter. The decision came as a surprise to both ministers and political analysts, after Hamas categorically rejected the notion of a ceasefire just hours before. "A ceasefire without reaching an agreement is rejected. In times of war, you don't cease fire and then negotiate," Hamas spokesman Fawzi Barhoum told AFP. Meanwhile, several ministers are outraged over the Cabinet decision, fuming that Prime Minister Binyamin Netanyahu has "folded" to Hamas terror. "We were willing to pay a heavy price to complete the most significant achievements yet against Hamas," Deputy Defense Minister Danny Danon (Likud) stated Tuesday morning. "There is no cosmetic facelift to a mistake like this." Transportation Minister Yisrael Katz (Likud) stated just before the agreement earlier Tuesday that the arrangement would be a major blow to Israel's security and political standing. "I am against a cease-fire," Katz said. "Under the circumstances, we can do a lot better." 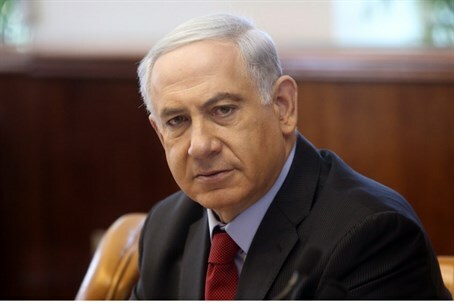 'We have not removed the threat of rocket fire completely, and we have not eliminated the Hamas elite," he continue. "If we were successful [in this], the world would give us a standing ovation." The only ministers to oppose the cease-fire were reportedly Economics Minister and Jewish Home Chairman Naftali Bennett and Foreign Minister and Yisrael Beytenu Chairman Avigdor Liberman, according to Walla! News. Operation Protective Edge entered its eighth day Tuesday. Since the operation began, Hamas had fired no less than 1,081 rockets on major civilian population centers. Of those, 845 hit Israel; 191 were shot down by the Iron Dome missile defense system. The IAF had struck 1,576 terror targets by the time the cease-fire was reached.